The Ignition Super Millions Poker Open ended Sunday and last week I popped into another small $10K GTD NLHE 6-Max, busted halfway through, then banged straight out of the nightly $3K GTD NLHE 6-Max. A couple nights later I nabbed 3rd place in a 153-entry $500 GTD NLHE Turbo Bounty, picking up 8 bounties along the way. The Final Table $10K GTD NLHE went bad from start to finish, and I busted my live rebuy just before the break, then dropped 100bb in 45 minutes on the shootout tables. Saturday, I got into an Ignition $300 GTD O8 and just started sucking up chips, then blew a stack that should have gotten me to first or second and took 4th out of 36 for a small cash. Got halfway through the Sunday 6-Max ($4K), and busted a $1K NLHE Super Knockout early. Monday…well, last week I’d promised I’d have to get over to Claudia’s (at SE 30th & Hawthorne, always the closest game to my house) for the Pot Limit Omaha Hi-Lo game they spread once a week, and I headed over this week to see if I could catch David Long, my semi-regular partner for trips to Lincoln City and Pendleton, to talk about October’s Fall Coast Classic Poker Tournament at Chinook Winds. He wasn’t there, so I played the tournament myself (I might have been thinking about that anyway), got seated next to Joe Brandenburg on his first visit there, and I ended up taking first place (all those years of low-level PLO8 and Big O at the late Portland Players Club still paying off!) And with 45% going to first place even after we paid a bubble, even Steve Chanthabouasy would be happy with the percentage (though maybe not the size of the pot). And Tuesday, the second episode of the PokerTime session I played in dropped, and I actually play a couple of hands. 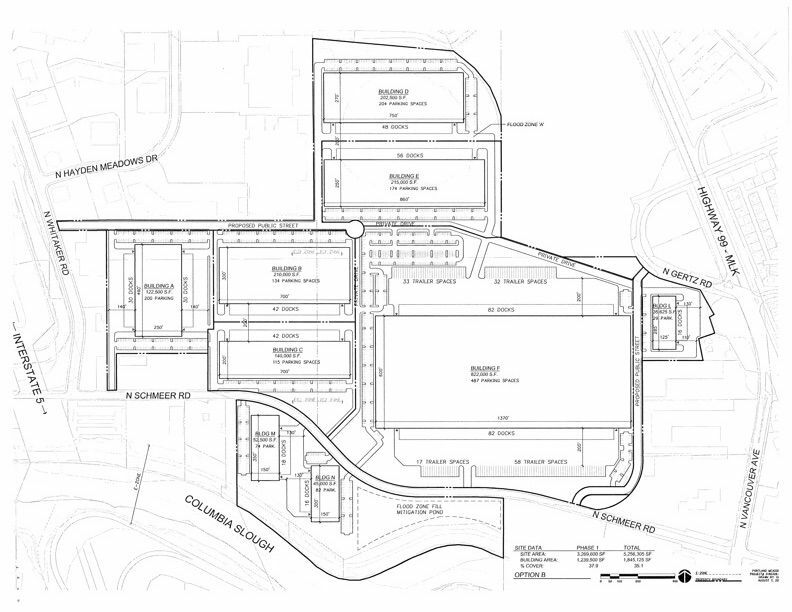 I haven’t seen any announcements for the big Labor Day holiday weekend, so I’ll just leave you with the Oregonian article that Josh Stellmon posted Monday to the NW Poker Facebook group, which includes some news about redevelopment plans for the Portland Meadows site. 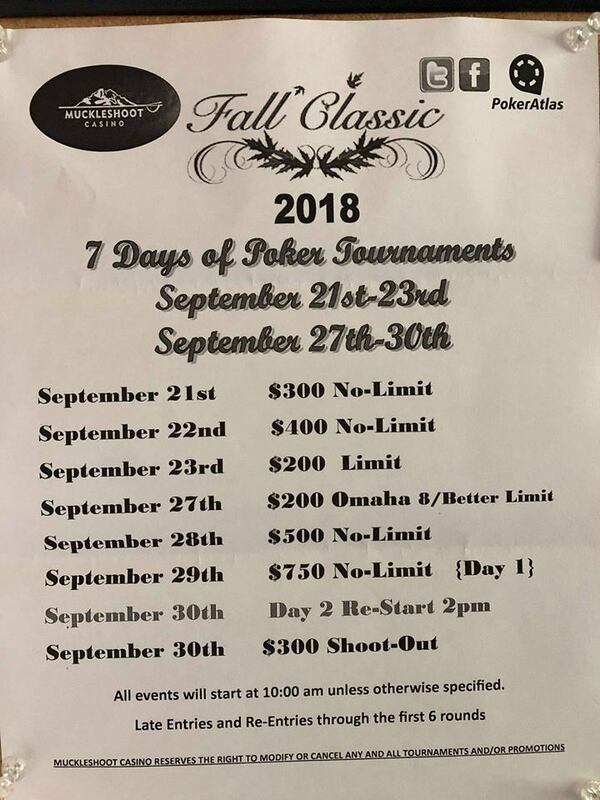 The full schedule for the Fall Classic is out, and for the first time that I can recall since starting up the #PNWPokercal, Muckleshoot is putting guarantees (instead of cash added to the prize pool) on their tournaments. A minimum of $500K in prize money is up for grabs over 7 tournaments. Muckleshoot has spearheaded the concept of satellites for multiple events with games running the three weeks before the series on Sunday morning (10:15am) and Wednesday night (7:15pm) for $150 where a cash gets you $1,250 in tournament entries. There are three nights of $190 tournaments with $1,750 in tournament buyins in a gap between the two weekend of the series. A 2-day Main Event (29–30 September, $750 buyin) with $150K GTD and two $100KGTD (22 & 28 September, $400 buyin) events are the tentpoles of the series, with an $80K GTD tournament leading off on 21 September ($300 buyn). Thrown into the mix are a $25K GTD LHE tournament (23 September, $200 buyin) and $15K GTD O8 (27 September, $200 buyin) for the fixed limit fans, and a finale I know a couple people will love: the $40K GTD NLHE Shootout (30 September, $300 buyin). Ticket presales are already open. Ameristar East Chicago is the host to HPT Chicagoland Main Event ($1,650 buyin) has three entry days starting Thursday. Mid-States Poker Tour stops at Canterbury Park in Shakopee (just outside of Minneapolis) from Thursday through 16 September. There’s a $300K GTD $1,100 buyin Main Event with three entry days (13–15 September) with satellites running daily from 5 September. The Commerce Poker Series starts Friday and runs through 16 September. The first full week features a tasty-looking $350 HORSE tournament, some Omaha Hi-Lo/Stud Hi-Lo, and a $240 buyin $200K GTD. 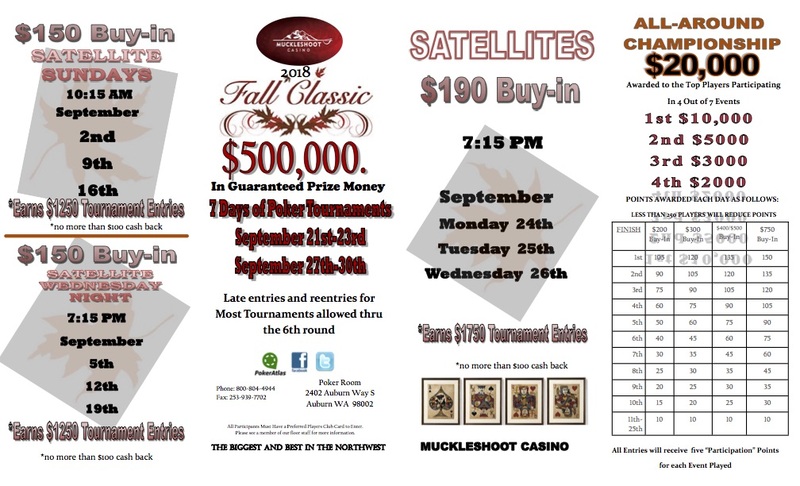 See above for info about the Muckleshoot Fall Classic Satellites. Labor Day is the start of Venetian Deepstack Extravaganza III. Running through 26 September, the first week features a $100K GTD ($340 buyin) followed by the $1,100 buyin $250K GTD tournament co-sponsored by MSPT. WSOPC Thunder Valley opens 6 September with a $300K GTD tournament for $400 entry. It’s a 2-day event with five flights (two on Thursday and Friday, one on Saturday). HORSE on Monday, 10 September and O8 on Tuesday! The $1,700 Main Event has $500 GTD. The Aria Poker Masters starts 7 September with its smallest buyin: $10K. You can only rebuy once. HPT Golden Gates kicks off in Colorado 12 September with a four-flight $400 buyin tournament. Their $1,650 Main Event begins 19 September. 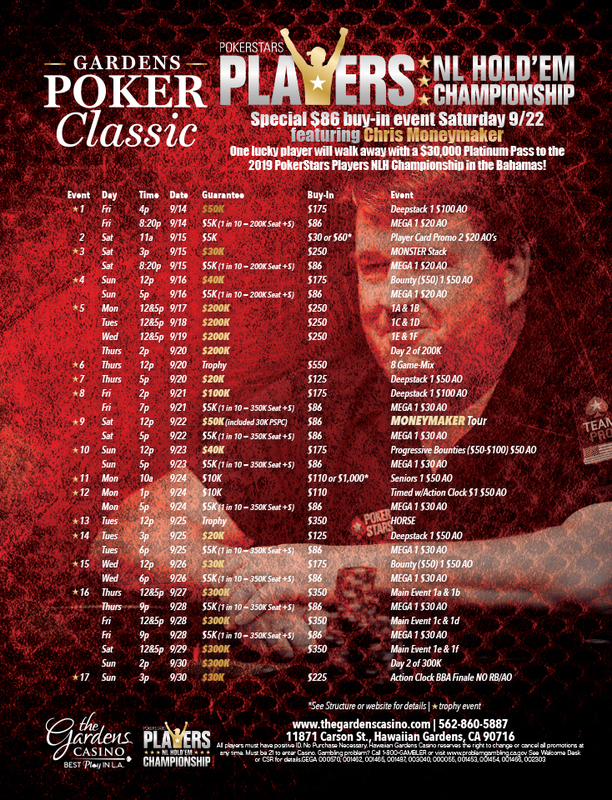 The Gardens Poker Classic (starting 14 Septepmber) is—among other things—the third stop on the West Coast for the PokerStart Platinum Championship, where you can compete for a ticket to a $25K buyin in the Bahamas in January and $5K in expenses (also known as the cost of a banana at the Atlantis Resort). There are a few other things going on during the Classic, including a $300K TD, a $200K GTD, a $550 buyin 8-Game Mix, some HORSE, and a Progressive Bounty tournament. Poker Mutant makes an appearance on PokerTime over the next few weeks, playing with all the fan faves: Terminator, Wonka, Destroyer of Worlds, Digital Dan, plus my former Vegas housemate Jeff Mitseff, double WSOPC Ringbearer Jeff Dobrin, and non-Jeff WSOP Ladies tournament final tableist Jackie Burkhart. This wasn’t as exciting a session for me as it was for Jackie or Mitseff, but I promise my VPIP goes up in the next one. It can’t go down! Technically, it could go down, but I had a VPIP of just over 4% for that session (maybe 8% if I played the hand that was edited out, I can’t remember what it was), putting extra money into the pot just one hand out of 24. Because of life, my poker week usually consists of the Friday night $10K GTD at Final Table and one other night of degeneracy, with one or two evenings of online poker at Ignition Casino. I changed things up this week because of a couple of changes at Portland Meadows. The main one was the introduction of the big blind ante (BBA) to all of their tournaments starting Monday. I’m pretty sure the twelve people reading this already know about the BBA, but it was definitely not on the radar of some of the players this week. I didn’t see any signs up announcing it (it was mentioned by Brian Sarchi on the NW Poker Facebook group and the schedule, but some people just show up). I got out to Meadows late on Tuesday for the 7pm game, got lucky, got lucky, made the final table, then managed to make a bad call in a multi-way pot where I had the other two players covered and lost almost my entire stack before going out in ninth place, well short of the money in that size of a field. The mechanics of the BBA are this: the player in the big blind puts out an amount equal to the size of the big blind first, then posts the big blind. If the player doesn’t have enough to cover both, they post the big blind (or whatever portion of it that they can) first, then any remaining chips for the ante. Friday, I went back for the second big change: the Freezeout Big O. Big O tends to be a very volatile game and it’s rarely played without reentries. I got there an hour after the game started and lasted a whole half-hour. No antes in Big O! Fortunately, I had plenty of time to get into the 7pm NLHE tournament ($2K GTD). Early on, I played 6♠5♠ and rivered a gut-shot 8-high straight against a guy who flopped a set of 8s, and I guess I played it tricky enough that he was audibly kicking himself for twenty minutes after he doubled me up because he missed it. It didn’t seem to phase his play, though, because by the time I’d climbed to 80K and been beaten back down to 25K, he was back up to 100K. The player on my right remembered my card cap from back in the Encore Club days and we had a pleasant chat, then I asked her if she had any thoughts about the BBA format (always thinking ahead for material!). She said hadn’t heard about it yet, though we were going to be moving into the antes in just a few minutes, and it took all of about ten seconds to tell her about it, the dealer chimed in, and we chatted about the potential tactical modifications you might need to make to your game. Shortly after that, the BBA went into effect and hit the player on her right, who had been listening to his iPhone and drinking what apparently wasn’t his first drink. He was also a novice to the big blind ante format, and unlike the player between us, was completely unprepared for change, apart from having caught a snippet of the conversation going on around him. That snippet had been twisted in his mind into some sort of angle or something of the sort, because he then spent a long time telling us he’d never heard of such a thing. When I mentioned that I’d heard the ARIA had been where it started, he said (several times) that he played at ARIA several times a year and had never heard of such a thing. Anyway, it went like that for a while, until he shoved a shortish stack with Jx3x and I called with K♥J♥ to send him to the shootout tables. A couple of players looked longingly at his table once he was seated there. I never got anywhere near the lead, but I made the final table as one of three smaller stacks. Only seven places paid, and there was talk of a chop right away but no decision before a couple of players were knocked out. An agreement was made to pay the bubble, and one of the other players busted on that. By then I was the smallest stack, with only about 50K, but three all-ins in a row (ending with a pair of tens that I showed) got me 25K each time, and put me near the chip average. The big stacks at the table (including the player who’d doubled me up early on) were taking damage and, you know, it’s a long way between $335 and $1,465 when the average stack is just 16bb, so the next time a chop was proposed, everyone was ready. Depending on the structure of the tournament, the big blind ante is going to change how much you pay per orbit. Where antes are about 1/10th or 1/12th the big blind (say 500/1,000/100 or 600/1,200/100) you’ll pay more on a nine-handed table with the big blind ante (9×100=900 in both of those examples, whereas you’d pay 1,000 or 1,200 for a big blind ante). In tournaments where the antes are 1/8th or 1/6th the big blind (600/1,200/200 to use one of the examples above) you’re actually paying less on a full table (9×200=1,800 vs 1,200 for the big blind ante). For shorter stacks, this can be great, because—as in most pot-limit games—you don’t pay anything when you’re not in the blinds. On the downside, if you’re on the big blind, it’s a bit harder to squeak past the blinds, and you might be more inclined to go with what you get dealt when your stack loses nearly twice as many chips on a particular hand. From a speed standpoint, there’s no hectoring of multiple players to get their antes out. It remains to be seen how it affects play near the final table when you have two or three short-handed tables. The Game has a $300 single-table sit-and-go this Tuesday at 7pm. Call to reserve a seat or get on the waiting list. One of these days soon, I need to get over to Claudia’s Sports Pub & Grill for their 7pm Monday PLO8 with a $25 buyin. It’s the final episode of the most recent PokerTime, picked apart by Joe Ingram or Doug Polk (they’re pretty much interchangeable so far as I can tell, one wears a tank-top or something) for titling and design esthetics in a recent podcast on starting a YouTube channel. Anyway, I at least, am looking forward to more from Jonathan Levy and Grant Denison (I can tell them apart). A couple of series within driving range already in progress that I missed adding while I was sidelined (thanks Steve Roselius for reminding me to check the Alberta venues!) Check the /?pnwpokercal for more info! Alll the action this week is in the Southeast, at the Seminole Hard Rock Poker Open in Hollywood, Florida and at the World Series of Poker Circuit in Cherokee, North Carolina. New to the leaderboard, Portland’s Andrew Dymburt picked up his first recorded cash in the SHRPO #23 $50K GTD NLHE, a $150 buyin tournament with 610 entries that netted him five figures. Almedin Imsirovic was also at the Hard Rock, playing slightly larger buyins in somewhat smaller fields. SHRPO #14 $1M GTD NLHE High Roller was a $50K entry with 25 players. 5 positions paid (20% of the field!) and Imsirovic took 4th. He followed that up with 9th place (out of 12 paying and 91 entries) in SHRPO #25 $500K GTD NLHE. Perennials Matt Affleck and Lee Markholt took 16th of 442 in SHRPO #20 $1M GTD NLHE and 10th/209 in SHRPO #17 $200K NLHE 8-Max. respectively. Moving up to Cherokee, Kindah Sakkal had a great run in a filed of nearly 1,200 entries in the $400 buyin WSOPC Cherokee #8 $200K NLHE Monster Stack. The tournament almost doubled the guarantee and she took 4th place. Another $400 event (the price points for all WSOPC events have been raised this year) saw Max Young start the 2018–19 season strongly, by placing 3rd in a field of 471 for the WSOPC Cherokee #13 $50K NLHE Double Stack (the prize pool reached $155K). 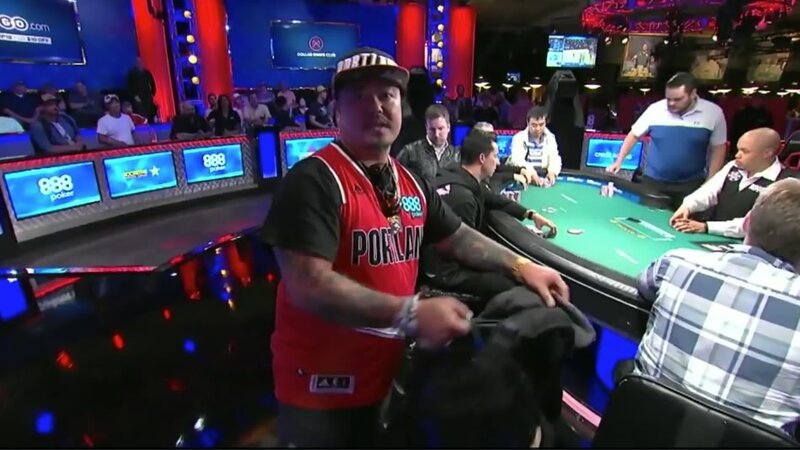 Last, but far from least, Kao Saechao was poised to follow his deep WSOP MAIN Event run on Day 3 of the WSOPC Cherokee #11 $1M GTD NLHE Main Event, but he lost a race early in the day and went out in 21st. Still, with a field of more than a thousand, a respectable showing. The Bicycle Casino WPT500/Legends of Poker continues on with the $570 entry WPT500 with $1M GTD and flights running through Saturday. Eash entry day features a regular flight at 1130am and a turbo at 5pm. Day 2 on Sunday with final table on Monday. Immediately following that is another $1M GTD tournament with 6 entry days ($350 buyin). Friday is the ast pair of flights, with Day 2 (including direct entry for $2,200) on Saturday. One of the tournaments I didn’t get on my calendar in time is the Summer Super Stack at Deerfoot Inn in Calgary. The Main Event (C$1,600 buyin) has entry days on Friday and Saturday and there are some side-events through Sunday. The flyer mentions C$300K in guarantees through the series, but I don’t see any guarantees on individual events or links to structures. Another ongoing series I missed is the Ante Up Poker Tour Reno at the Atlantis. The $200K GTD Main Event starts Friday ($1,100 entry) with another entry flight on Saturday. Winner of the Main gets on the cover of Ante Up. The second stop in the PokerStars Players Championship is at Lucky Chances Casino south of San Francisco. 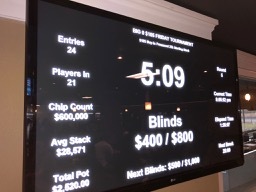 It’s $86 for an entry—the amount Chris Moneymaker paid for his satellite to the WSOP fifteen years ago—and the prize is a Platinum Pass seat in the $25K buyin PSPC tournament in The Bahamas next January, along with $5K in expenses. The PSPC itself will be loaded with online and live qualifiers (and people who won seats in drawings), There’ll be tour stop in September in LA and Phoenix, and another at Run It Up Reno in November. The Colorado State Poker Championship 22 at Golden Gates Casinois just about over, but Wednesday is the $75K GTD High Roller ($2,500 entry). This month’s Muckleshoot Casino Deepstack tournament ($300 buyin) takes place Sunday at 10:15am. Next Sunday at the same time id the monthly Deepstack ($300 buyin). They still haven’t posted anything on their web site about next month’s Muckleshoot Fall Poker Classic (21–30 September, that link goes to Facebook). The Parq Vancouver Super Sunday is a C$450+50 buyin (US$385 total) starting at 10:15am. You can register up to 2 days early if you’re up that direction. Tulalip Casino’s Last Sunday of the Month Back to School tournament is at 11am on the 26th. $5K added to the prize pool and a $220 buyin with $10 dealer addon. Now with big blind antes! Ameristar East Chicago is the host to HPT Chicagoland from 23 August to 3 September. The Main Event ($1,650 buyin) has three entry days starting 30 August. Three flight days for the $1,650 entry Main Event, starting 30 August. Mid-States Poker Tour stops at Canterbury Park in Shakopee (just outside of Minneapolis) from 30 August through 16 September. There’s a $300K GTD $1,100 buyin Main Event with three entry days (13–15 September) with satellites running daily from 5 September. The Commerce Poker Series starts in just over two weeks (31 August) and runs through 16 September. The first full week features a tasty-looking $350 HORSE tournament, some Omaha Hi-Lo/Stud Hi-Lo, and a $240 buyin $200K GTD. 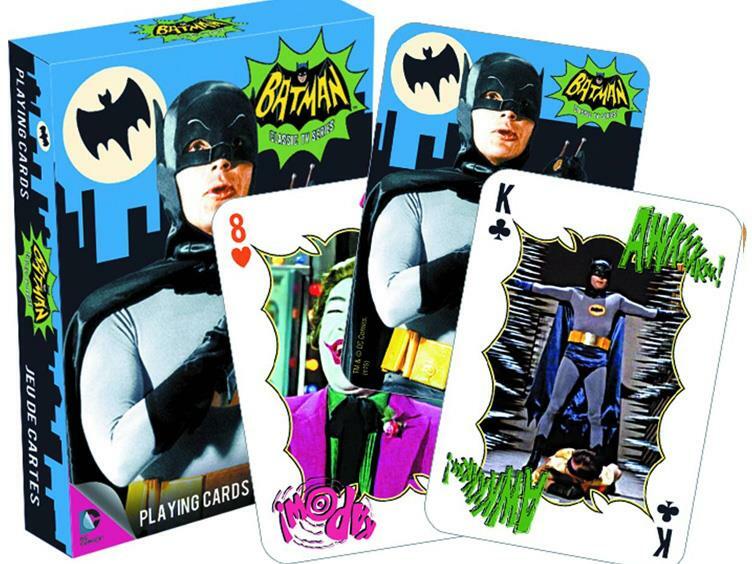 Plus, if you get there before 2 September, you can take some time off to see ”Holy Hollywood History!”, an exhibit of goodies from the Adam West/Burt Ward Batman TV show at The Hollywood Museum. Coming up the end of Labor Day week is the WSOPC Thunder Valley and the Aria Poker Masters for anyone named Imsirovic. When I decided to take a break from the Planner back in March, I did not realize it would last quite this long. “Maybe a couple of months,” I told myself, “spend some more time playing, maybe head down to Vegas a couple of times, I’ll be back soon.” Best laid plans and all that. Enough banter. 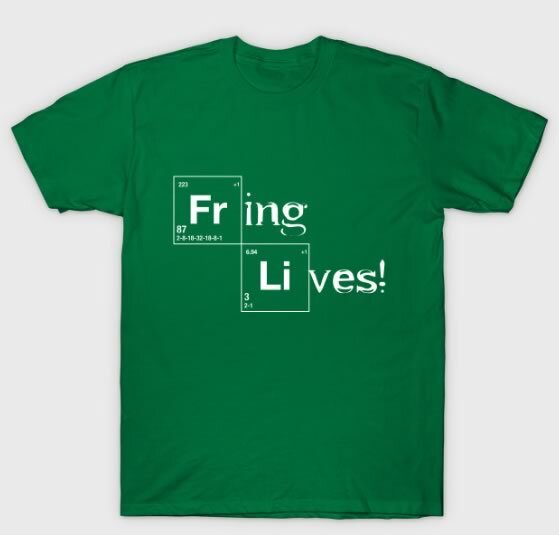 Let’s get into stuff. 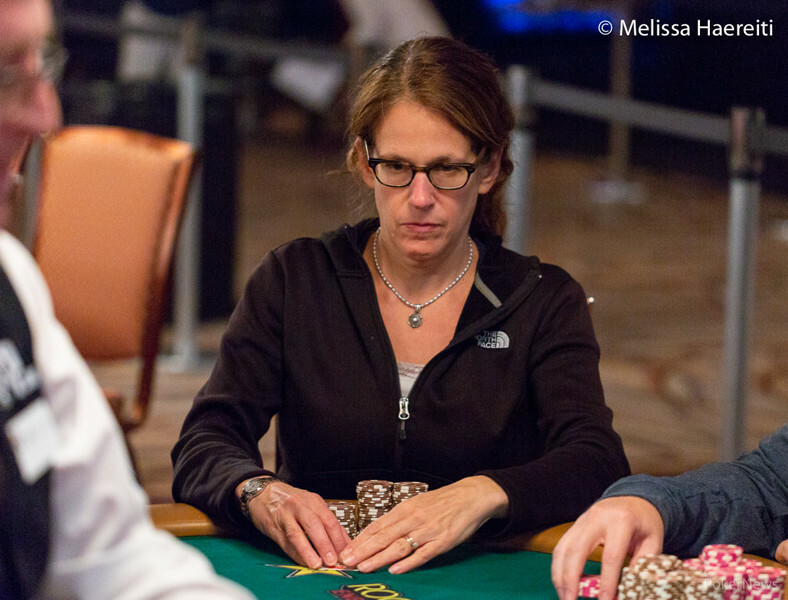 After making the final table of the WSOP Ladies tournament, Jacki was invited to Florida for a taping/streaming of Poker Night In America Ladies Night. There were two $25/$25 sessions on consecutive nights, streamed simultaneously on Twitch, YouTube, and Facebook, jacki was on the first, Friday night, as one of the newest players to the national scene, along with Jo Kim, Lily Kiletto, Danielle Andersen, Jamie Kerstetter, and Kelly Minkin. There were some issues with the graphics, as the session ended the announcers said she was up over $6000, then the last tally showed only $300 profit, but she reported a number closer to the original on Facebook. So yay! You can see her pick up a $3100 pot somewhere in the stream. 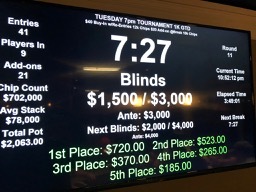 Results are in for the smallest of the Wildhorse Round Ups, The bigger events ran about 300 entries each, with the Main Event ($330 buyin) garnering 294 players and a prize pool just under $90K. Results are up on Hendon Mob. Walla Walla’s Felipe Nievez-Lopez gets onto the leaderboard with a win in the Wildhorse Summer Poker Round Up Main Event. It’s also his first Hendon Mob recorded cash. I wouldn’t normally report on Chad Norheim (Gig Harbor) taking 5th in the event for his second recorded cash, but the fact that he turned around and went to The Bike in LA to make the unofficial final table at Legends of Poker #3 $200K GTD NLHE tickles my fancy. Coming in 2nd was Denny Edwards of Hermiston for his biggest-ever cash (all 13 of them from events at Wildhorse, by the way), and Ronnie Anderson from Yakima, whose first recorded cash was a win in a 400-entry event at Wildhorse in the spring. Both players move up about 300 places in the rankings (Edwards moves to #595, Anderson to #864). The event leading into the main was Wildhorse Summer Poker Round Up #5 with 267 entries and a prize pool of over $52K. Corren Spargur from Richland won that (moving up to #786) and Ryan Stoker repeats on the leaderboard this week because of his 2nd place finish. Stoker only picks up 9 places (moving to #174) because it just gets harded and harder the more money you’re made. Speaking of which, James Romero‘s stuck at #10, despite the cashes for James Christopher Romero getting wrapped in to his records and winning the Seminole hard Rock Poker Open #3 NLHE 8-Max Turbo. Really hard when you get up to that level; the gaps are so many dollars apart. The Game is running single-table sit-and-gos on Tuesday nights at 7pm. There’s a rotating buyin ranging from $200 to $1K. I played the $500 buyin last week and managed to chop three ways at a table that included Dustin Tragethon, Randy “Terminator” Palazzo, Nick “Wonka” Getzen, and Jonathan “Jonathan” Levy among others. Call The Game to find out the stakes for future games and reserve your place. There’s another episode of PokerTime out but the series I played in hasn’t started yet. Console yourselves. Last week’s $10K at Final Table (out with the second nuts). Portland poker is not dead. There’s a $10K almost every week at Final Table on Friday night and another at Portland Meadows Saturday at noon. And two tournaments every day at both clubs (plus shootouts). I’ll try to make the rounds of places like Claudia’s and Rialto soon! 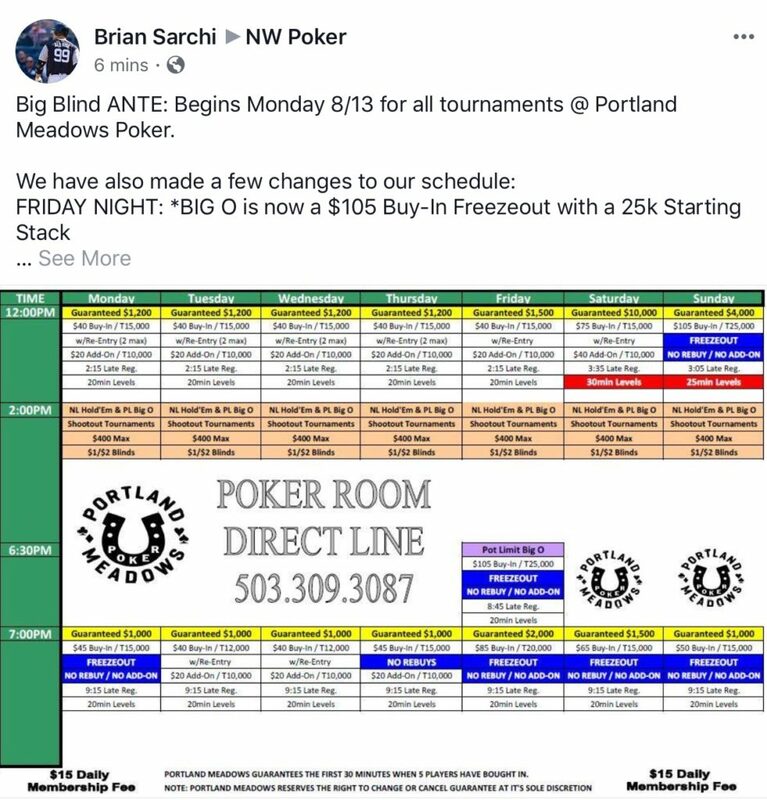 Just after I posted this, Brian Sarchi at Portland Meadows posted on Facebook’s NW Poker group that all tournaments at Meadows will be using the big blind ante starting Monday (when antes come into play, the big blind puts in 2x the big blind, half for antes for all players, and the remainder for the big blind). The Friday Big O and Saturday 7pm tournament also have changes. The Bicycle Casino WPT500/Legends of Poker continues on after the end of Mega Millions XIX. This weekend has some great stuff that I’m just dying about missing: a $350 buyin HORSE tournament tomorrow, a $565 Survivor tournament where 10% of the entries get a $5K payout (Friday), then the $570 entry WPT500 with $1M GTD starting Saturday, with flights running through next weekend (25 August). Eash entry day features a regular flight at 1130am and a turbo at 5pm.Day 2 on 26 August and final table on Monday, 27 August. Immediately following that is another $1M GTD tournament with 6 entry days ($350 buyin). 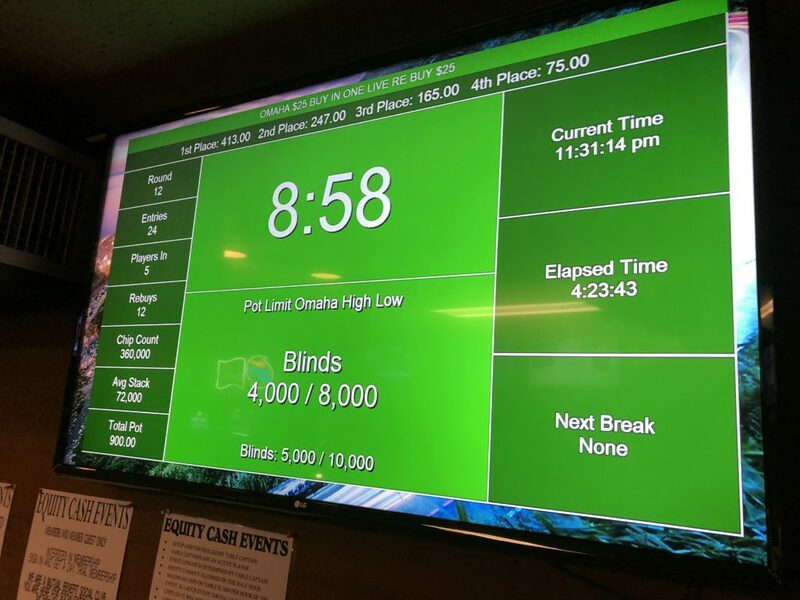 The Colorado State Poker Championship 22 starts its $1100 Main Event on Friday, with another entry day on Saturday, at Golden Gates Casino. Tomorrow through Saturday are the last 3 entry days for the Venetian August Extravaganza #10 $100 GTD NLHE. $250 buyin and run as big blind ante (as are the Colorado State poker Championship games). The August Estravaganza is followed by the 7-day Senior Extravaganza. For some reason, neither event is currently linked from the Venetian’s poker blog. Friday and Saturday are the entry days for the HPT St. Charles Main Event outside of St. Louis. At Ameristar St. Louis, it’s a $1,650 buyin event; the most recent (in April) had a $435K prize pool. The second stop in the PokerStars Players Championship is at Lucky Chances Casino south of San Francisco starting Sunday. It’s $86 for an entry—the amount Chris Moneymaker paid for his satellite to the WSOP fifteen years ago—and the prize is a Platinum Pass seat in the $25K buyin PSPC tournament in The Bahamas next January, along with $5K in expenses. The PSPC itself will be loaded with online and live qualifiers (and people who won seats in drawings), One was awarded last week at Stones Gambling Hall in Sacramento, There’ll be tour stop in September in LA and Phoenix, and another at Run It Up Reno in November. This month’s Muckleshoot Casino Big Bounty tournament ($200 buyin) takes place Sunday at 10:15am. Next Sunday at the same time id the monthly Deepstack ($300 buyin). They still haven’t posted anything on their web site about next month’s Muckleshoot Fall Poker Classic (21–30 September) but that link goes to Facebook. 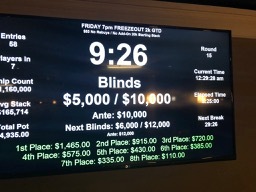 Friend of the blog Steve Roselius posted a snapshot of the flyer from the poker room to Facebook. They’ve typically run satellites to the all or part of the series in preceding weeks. A little further afield, Ameristar East Chicago is the host to HPT Chicagoland from 23 August to 3 September. 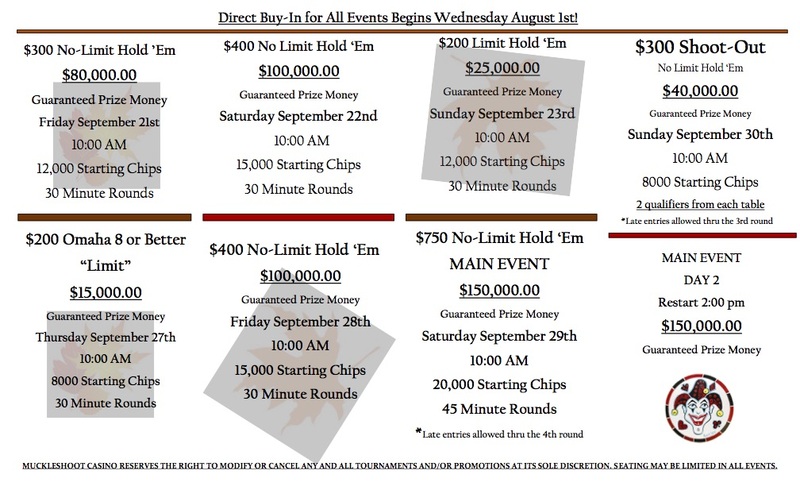 Main Event ($1,650 buyin) has three entry days starting 30 August. Nonstop RT tickets for Thursday through Tuesday of that weekend are still less than $350, Accommodations could, uh, run a bit more. There’s Plenty of October to Share, Guys! The cast just came off my wrist last week, so I’m not back in shape to take up my duties here at Mutant Poker Tower quite yet, but I have been trying to keep up the calendar (thanks to Nick Getzen for his kind words last week about its utility!) and somehow, three series of interest to PNW poker players coming up in the next quarter have managed to pick overlapping dates (once again). Closest to home, the Chinook Winds Fall Coast Classic has been on the calendar (20–28 October) for months. They released their tournament schedule a while back, and I’ve had it marked ever since. The World Series of Poker Circuit Lake Tahoe dates (25 October–5 November) were announced along with the rest of the season just before the WSOP started in late May. The individual events haven’t been announced yet. And this week, Run It Up Reno‘s dates were released (19–29 October) along with the event schedule. So three of the only tournament series that run in my loosely-defined greater Pacific Northwest (including Northern California and Nevada) will be operating simultaneously for four days, and for another six days, at least two of them will overlap. There’s a fair amount of travel time between Lincoln City and Tahoe/Reno, and even just going from Harvey’s Lake Tahoe to the Peppermill Reno isn’t like shuttling between the Venetian and the Rio. These guys are killing me. Angela “Badass” Jordison, who unexpectedly tried cliff-diving on the wrong kind of cliff (way too far to the water). Be careful out there, and remember that poker rooms are much safer than the outdoors. I think this week marks the return of the Final Table First Friday $20K GTD after a WSOP hiatus. $100 buyin with 1 live rebuy and $50 addon. Newly-minted WSOP Dealer’s Choice bracelet owner Jeremy Harkin is working to get a dealers choice game together Friday nights at Portland Meadows. See the NW Poker group on Facebook to find out details and availability. We are excited to announce the first of two line-ups for Ladies' Weekend @HardRockHolly – $10/$25NL UNCAPPED for plenty of action! I got the chance to play poker in Portland on a Saturday a couple of weeks ago (I’m usually doing stuff with family if I’m in town) and chopped the Portland Meadows $10K, then put my bump to work in the 5/10 game recorded for The Poker Guys‘ PokerTime YouTube show, playing with Jacki Burkhart (who’ll be on Poker Night in America in a couple of weeks), former Portlander Jeff Dobrin (who appeared on some of the previous game’s installments), as well as Jeff Mitseff and some of the other regulars from the show. While we’re waiting for that to drop, enjoy one of the recent eps.